Have you been involved in a road traffic accident at work? Were you driving at work or were you a passenger in a work vehicle? Driving at Work – The Health and Safety Executive (HSE) estimates that up to a third of all road traffic accidents involve somebody who was in work at the time. This may account for over 20 fatalities and 250 serious injuries per week in the UK. You may have been the driver and the accident wasn’t your fault or you may have been a passenger. If you have suffered injury as a result of the accident then we can help you make a claim on ‘no win, no fee’ basis. Call us on 01925 937070 to speak to a solicitor for free and in confidence or click here to complete our Accident at Work Claim Enquiry Form. Your claim will only be dealt with by a fully qualified solicitor who has experience in this field to ensure that you receive the best possible service and the best possible outcome. Not only will our solicitors help you to make a compensation claim for personal injury (compensation for pain, suffering and loss of amenity), they can also assist with making a claim for financial losses (known as special damages) for things like loss of earnings, damage to clothing and personal items and prescription charges. We can also assist you with arranging and recovering the cost of any recommended rehabilitation such as physiotherapy. It is the responsibility of your employer to keep employees as safe as possible in the work place. 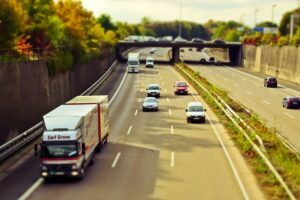 If you have had an accident while driving at work and you feel that the accident was caused by negligence on the part of your employer, you could have a strong case for compensation. Speak to one of our expert solicitors today by telephoning 01925 937070 for a free, no obligation assessment of your personal injury claim or email diane@dsmlegal.co.uk. You can also complete our Personal Injury Claim Form here. We’re more than happy to answer any questions you may have. How much is my driving accident at work claim worth? Without speaking to you and assessing your claim it is difficult for us to give you an accurate indication of what your claim is worth. However we can give you an estimate of what your claim could be worth using our interactive and simple to use Compensation Calculator. Simply click here to use our Compensation Calculator and find out what you could be awarded. We based in Warrington and accept claims from across England and Wales. We can assist with personal injury (accident claims), serious injury including fatality claims, medical negligence claims, criminal injury compensation claims, employment law claims, oaths, affidavits and statutory declarations, wills and probate, lasting powers of attorney, settlement agreements and professional negligence claims. Why choose DSM Legal Solicitors for your driving accident at work claim? As a regulated firm of UK solicitors, we deal with your claim for accident at work compensation directly and we will not pass you details on to a third party, as most claims management companies do. We work on a “no win, no fee” basis, so that we do not charge a fee if your case does not succeed. Our office is in Warrington (minutes away from Junction 8 of the M62). Our office has free parking and disabled access including a lift and disabled toilets. Involved in a road traffic accident but you were not at work or driving a work vehicle? We also deal with road traffic accidents that did not take place whilst you were at work. Visit our road traffic accident section here or email diane@dsmlegal.co.uk for more information. Alternatively visit our personal injury section here to see what other accident claims we can assist with.